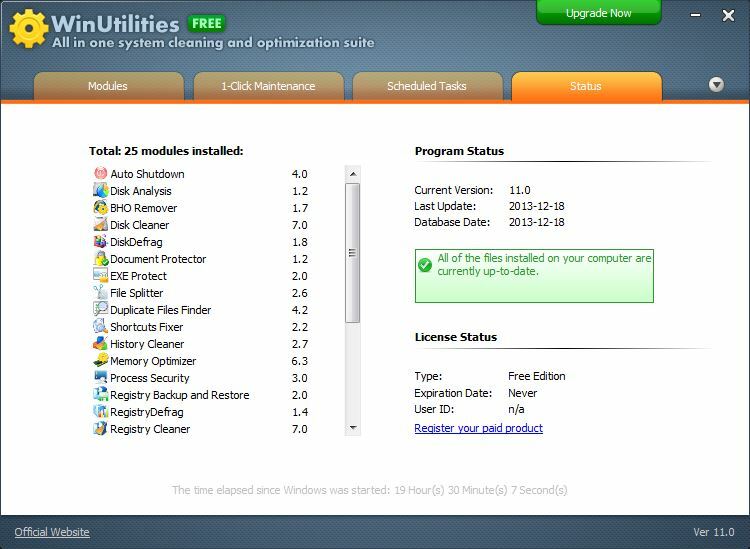 WinUtilities Free Edition is a multi-functional system performance and optimization suite for Microsoft Windows. This collection of tools lets you supercharge your PC's performance, enhance its security, tweak and optimize its settings, and customize and personalize your screens. 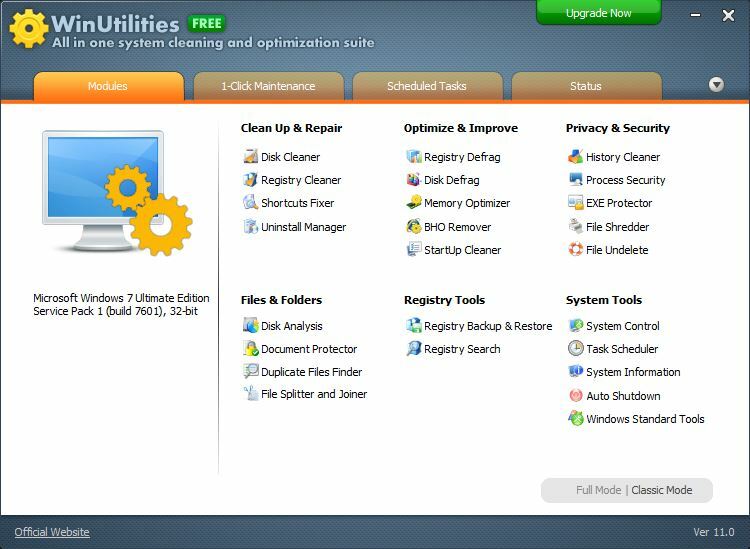 Registry Cleaner makes your system more stable by cleaning out the bad Registry entries that build up each time you install and uninstall software. The program's Registry Optimizer defragments and rebuilds your Registry, making your entire system run more smoothly and quickly. The program includes powerful tools to clean and optimize your hard drives. 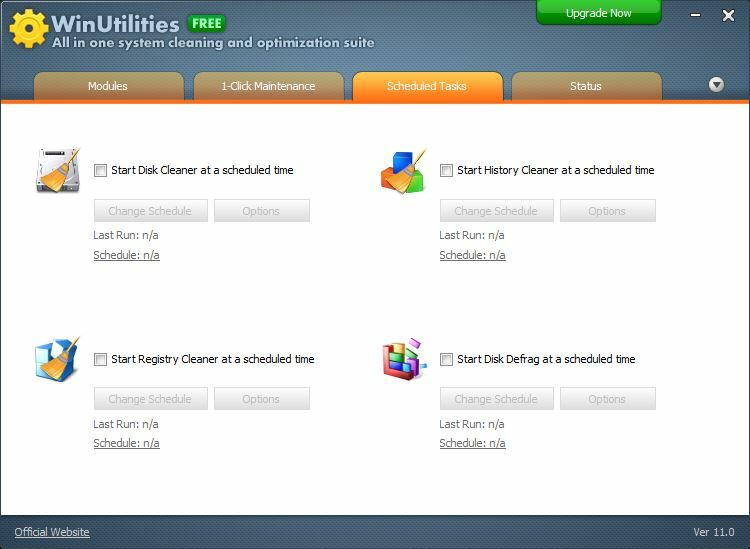 The Disk Cleaner removes clutter and unnecessary files from your PC, allowing it to run more quickly. The DiskDefrag module defragments your hard drive, keeping it running efficiently. 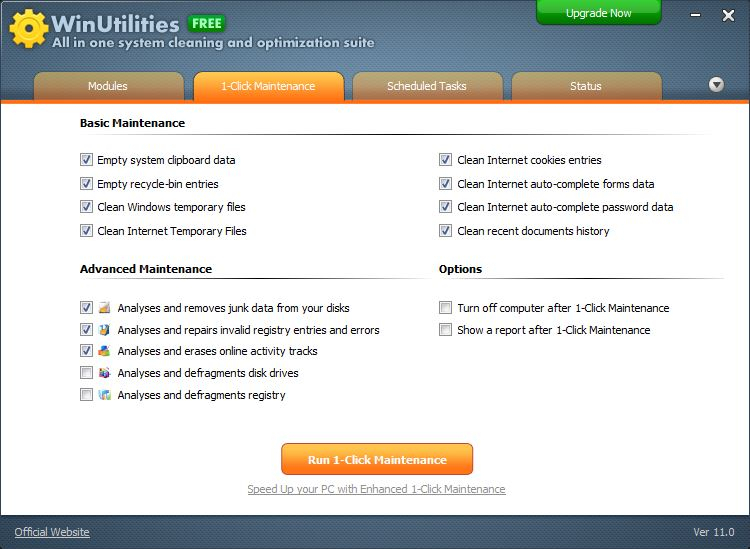 WinUtilities's Windows Optimizers keep Windows running faster. The Memory Optimizer ensures that memory is released properly when you stop running each program on your system. More features include secure file deletion, recycle bin shredding, maintenance tasks scheduling and file recovery.